I remember when I was in high school, the culottes trend were huge! My mom actually enjoyed shopping for a pair with me because she wore them in high school too. Funny how fashion repeats itself right? I'm actually not surprised that culottes are back. Why? They are so comfortable and look good on everyone. The easiness makes them wearable for work as well as a night out. They come in every color and print from black, orange, green, stripes, polka dots, and floral. 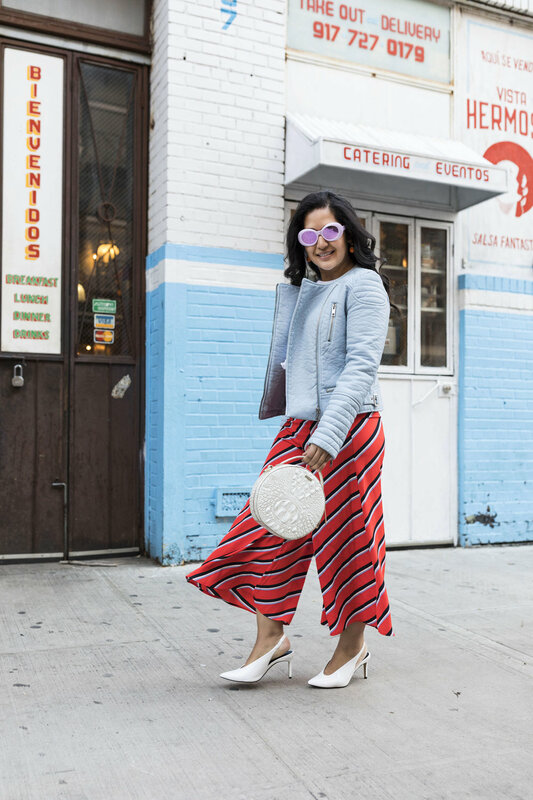 Here are some tips I have when styling your culottes. 1. 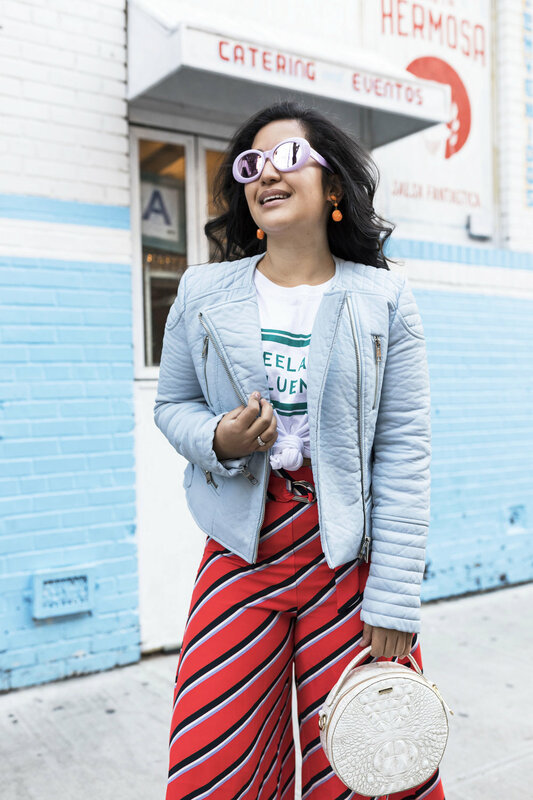 Since culottes have a lot of volume, wear a fitted top or something that shows your waistline. I wore a baggy tee with mine but tied it in a knot. Having too much volume on the top and bottom can look unflattering. 2. Find the right length. Somewhere in between an inch below to the knee to mid shin are the golden area. Make sure they aren't hitting the ankle because that will just make you look shorter. 3. The flare of the pant should start and the high or low hip. Shaping around the waist will help define your silhouette, prevent bagginess in the crotch, and help you look slimmer. The shirt says it all! When I started blogging (years ago), I was a little embarrassed about it. Only for the fact that people looked down upon them and I was afraid of how others would perceive me. 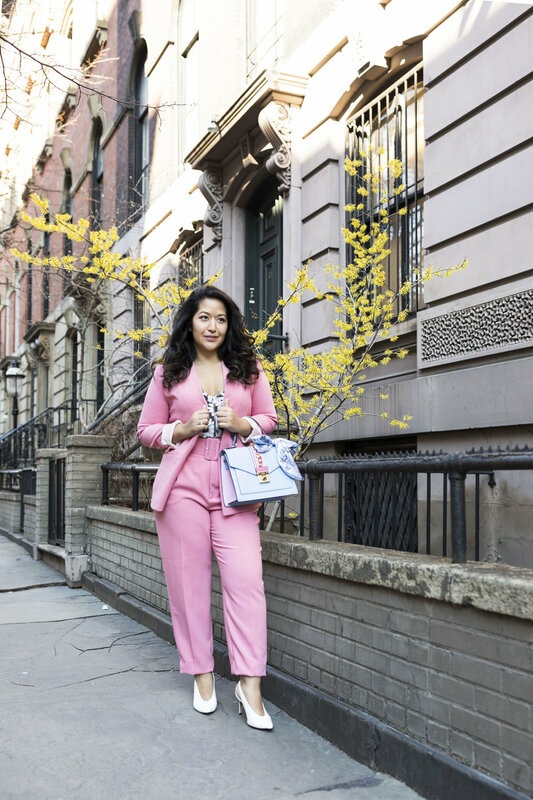 Bloggers were known to be just a pretty face who pose for pictures (so wrong!). 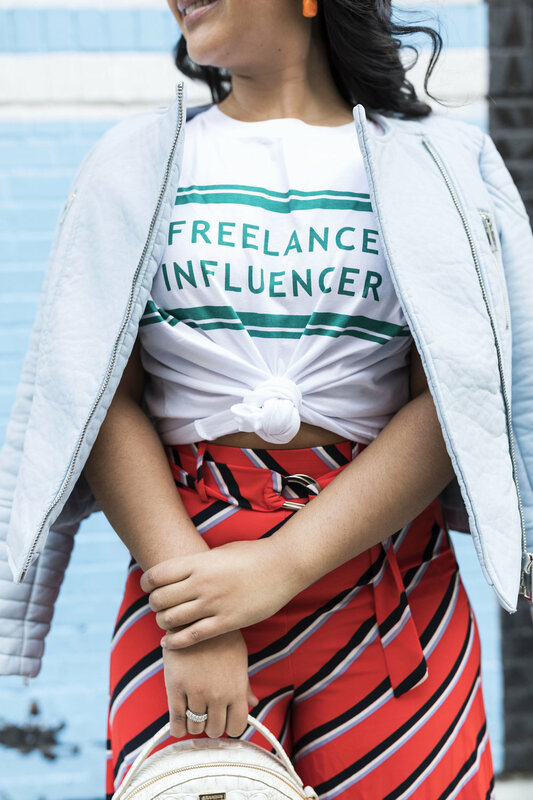 TODAY, I proudly wear this shirt and am so pleased to say that I am a blogger and influencer. I don't think people realize just how much work I, and my influencer peers, put into our passion project! We are everything from the CEO, photographer, stylist, model, writer, editor, accountant, social media manager, web designer, and so much more! We multitask like no other and sometimes barely sleep. But at the end of the day, I've learned SO much from blogging and have seen not only my STYLE but CONFIDENCE evolve. I hope to inspire other girls and boys out there to be confident in there own skin and express themselves through their style everyday! XOXO! !